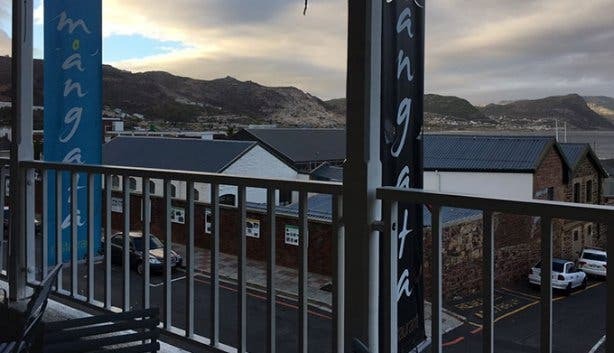 With a definition like that, one can only but envision a stupendous sea view, post-sunset on a warm summers night, which in actual fact does no justice to the reality of sitting outside on the balcony of the contemporary upmarket bistro called Mangata. 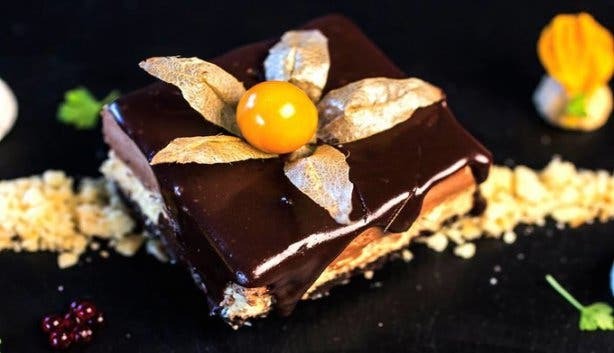 As the newest addition to the bustling Saint Georges Street in Simon’s Town, a fusion of French cuisine is laid on the table, hand made by some of the best chefs in Cape Town. “A good restaurant isn’t a one man effort,” says Head Chef and Owner, William Sharp. “I do my best every day, but so do my sous chefs”. 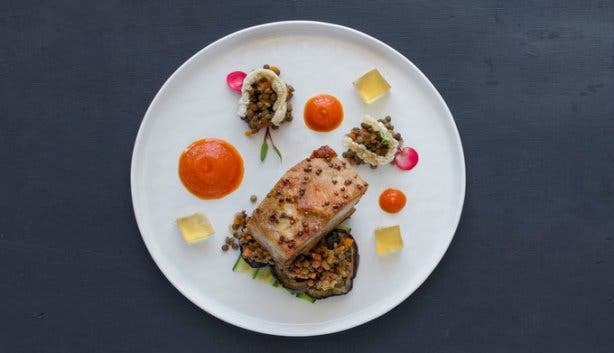 The team of highly acclaimed chefs consist of Jarryd Evans and Shannon Bruyns, and the proof is definitely in the classic French dishes served in an artistic fashion. 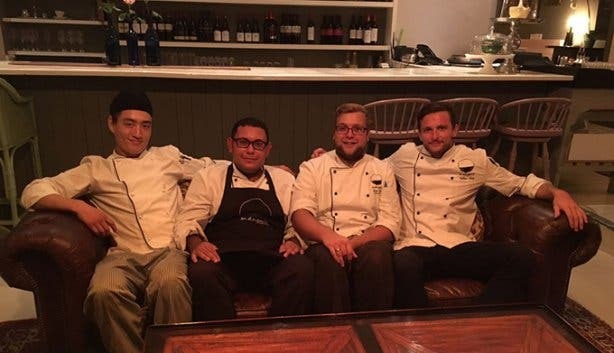 After leaving the kitchen for eight years to pursue his business dream, William returns to the kitchen in the little village of Simon’s Town in his hopes to up the food game in the historically-rich dorpie on the Eastern side of the Cape Peninsula. “I’ve been very disappointed with food in this area, as a whole. On this side of the mountain, there isn’t a massive array of restaurants that I would consider working in. I thought that the area needed something, and I thought that I‘d do it,” says William. And glad we are that he did! 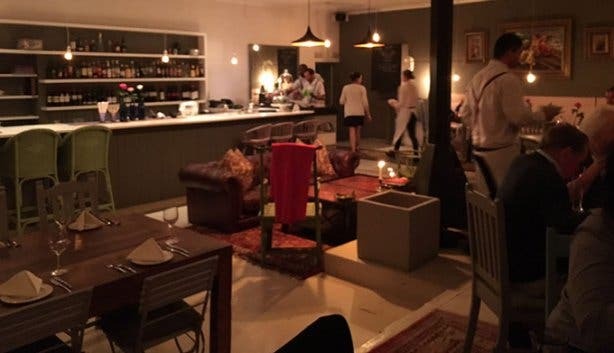 Mangata offers a relaxed atmosphere, ideal for a date or an intimate family dinner. 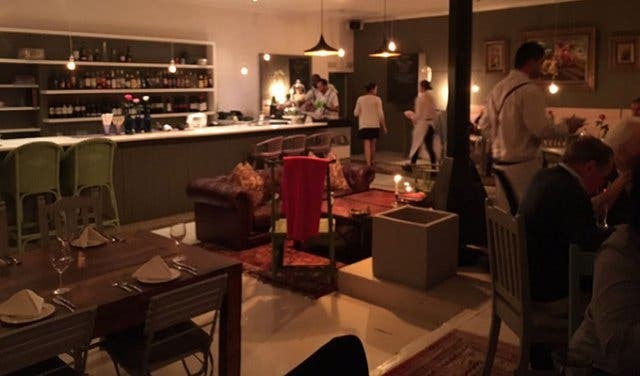 With a leather couch and fireplace, and table setting which features a rose and candle, Mangata caters to patrons who are looking for sophisticated dining with a difference. Patrons can also opt for balcony seating, which overlooks the numerous boats in the harbour and the town-like feel of Saint Georges Street. 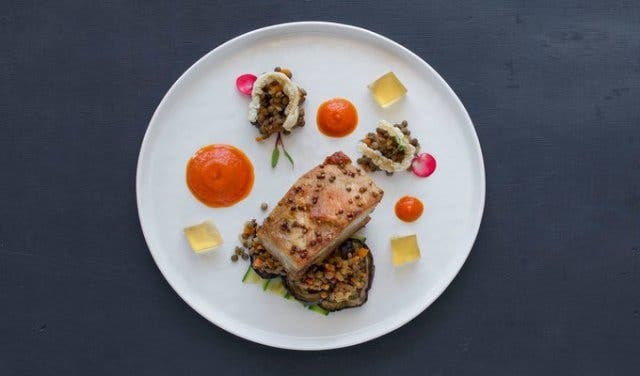 As your plate arrives, the first thing that catches the eye is the popping colours and shapes. One can definitely tell that the chefs are passionate about their craft, simply by looking at the plate. ‘The camera eats first’ is a mere understatement as you find yourself giving in to the guilty pleasure of capturing every bite before the meal even touches your lips. 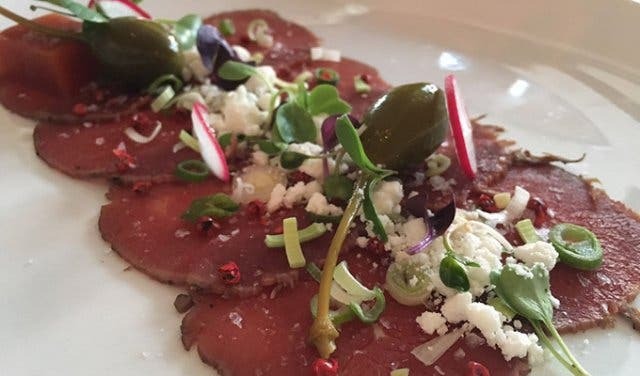 Considering Chef Williams’ extensive training and experience in the kitchen, he was given free rein on our food tastings, and chose dishes which he enjoyed making most. And were we spoilt for choice! Not only is it impossible to choose a single favourite dish per course, but the portions were large enough to share four times over. 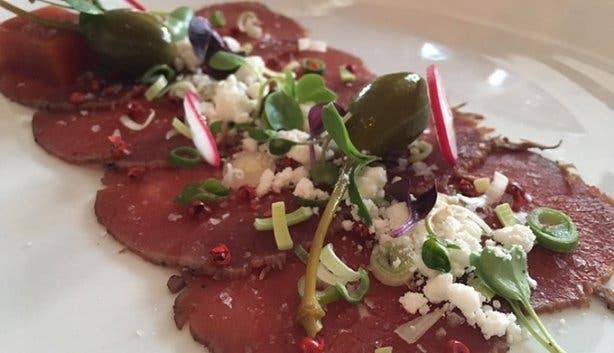 For starters, we tried the Ostrich Carpaccio (probably the best carpaccio I’ve ever had! ), served with horseradish snow and a unique Bloody Mary jelly (minus the vodka, unfortunately), which was made with the ingredients the cocktail comprises of, served on the side as opposed to a sauce. The West Coast Mussels served in a white wine cream blew me away, as well as the Tuna Tartare and Pork Neck Bon Bon, and the generous portion gave us enough to satisfy the craving one bite after the next. For mains, Mangata’s Lamb Rack served with butter beans, a white chocolate savoury sauce, lamb jus, asparagus and basil strawberry salsa combined salty and sweet flavour palates, enticing the taste buds just a little bit more. The Duck Breast was tender and featured potato croquette made to perfection with honey glazed carrots and pickled shimeji mushrooms and mushroom puree . The vegetarian option of Wild Mushroom Bruschetta features four different types of wild mushrooms, finished off with a white wine cream sauce (similar to that of the West Coast Mussels). And my favourite part: dessert. Coffee on Brownies combines my favourite flavours of coffee and chocolate, but on steroids. 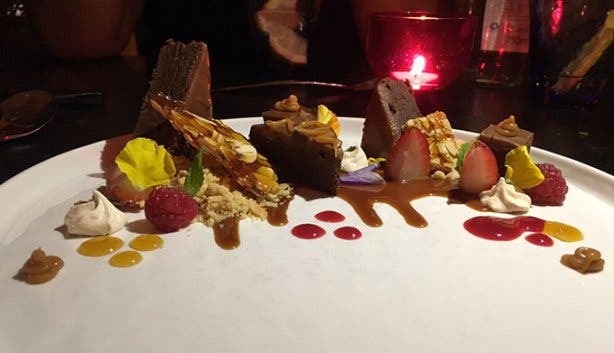 This deliciously rich dessert contained an orange scented brownie and toffee sauce that my palate will never forget. Try the Mangata Vanilla and Cardamon which contains a saffron and honey poached pear and amaretti crumble for a dessert exclusive to Mangata. The pear is emptied out and filled with a white chocolate mousse, served with vanilla disks. Tip: Order the lemon, lime and basil sorbet in-between courses as the ideal palate cleanser or a trio of sorbets to share.